Remember Chia Pets? I never had one of my own, but I remember how cool they looked in commercials during Saturday morning cartoons. It seems that they are making a comeback, and my kids started asking for their own Chia Pets recently. I thought surely we could make something similar that would be more fun and much cheaper too. 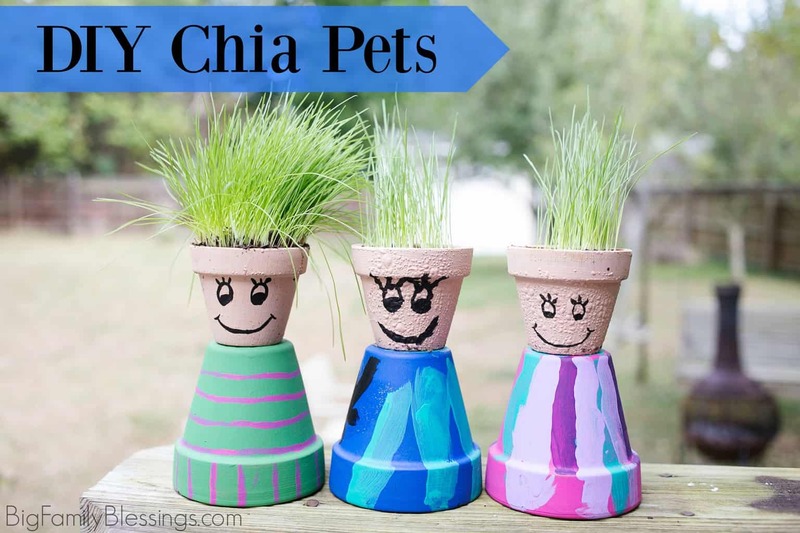 My kids loved making their own version with these adorable DIY Chia Pets. We call them Grass Head Pots. 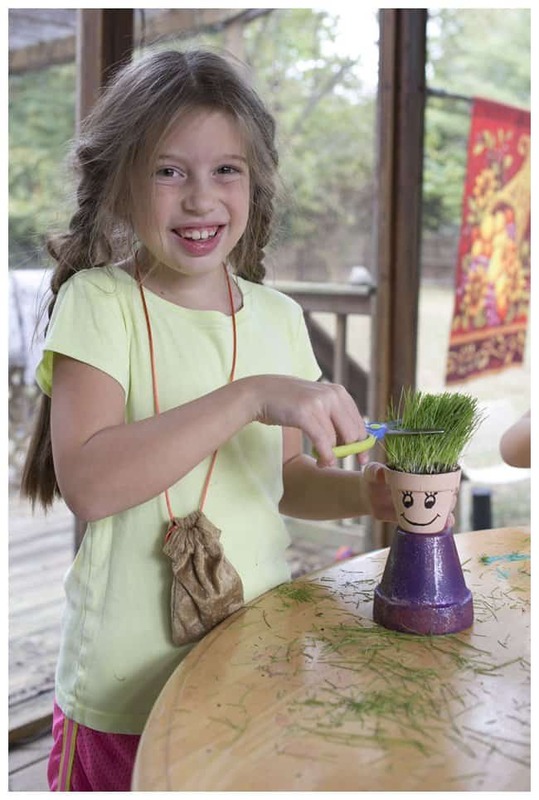 What fun it was to style each pots clothing, facial features, and later their grass hair! This is a great craft for using leftover grass seed after seeding your yard this spring! Choose your terra-cotta pots. At most home improvement stores the smallest pot is about the size of the body on the pot people pictures in this post. Those pots work just as well for these creations, your finished product will just be bigger than those pictured here. We wanted small, window ledge size creations, so I shopped at a craft store (AC Moore) which sells mini terra-cotta pots in addition to the larger sizes. 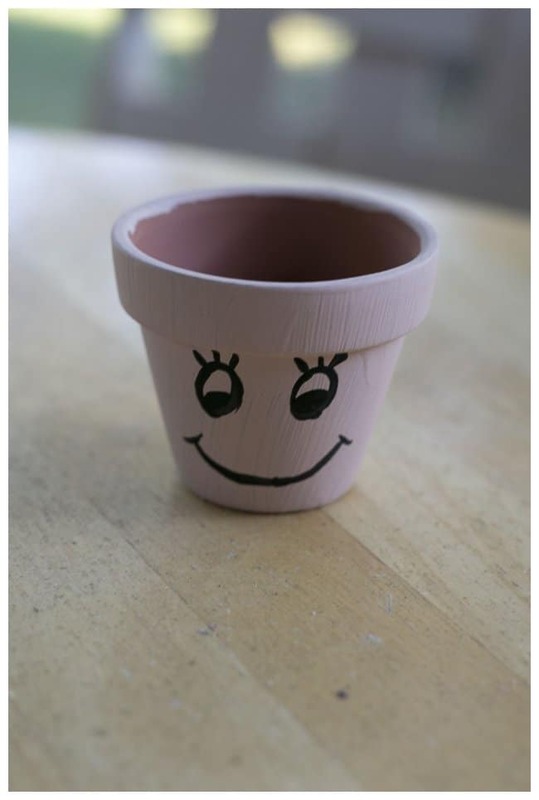 Paint and decorate the larger pot as your pot person’s clothing. 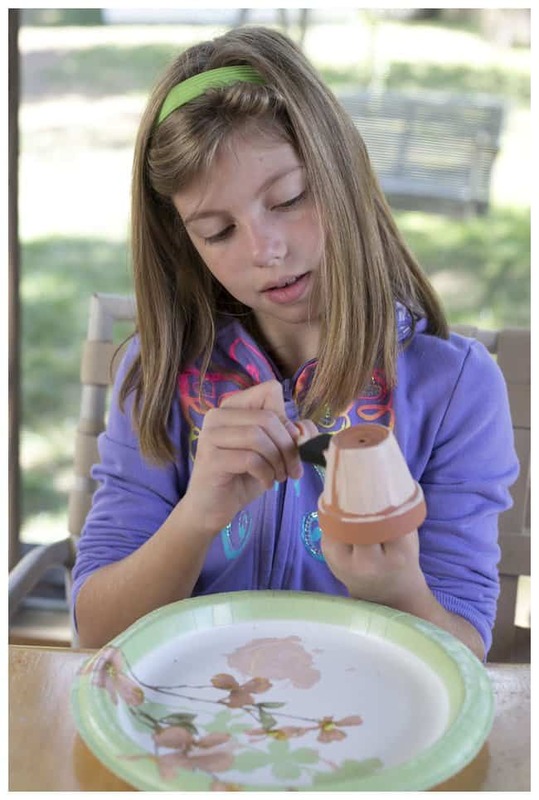 You may want to paint a base color and then add details after the pot dries a bit. Paint the smaller pot a flesh color, then add facial features after it dries a little. Once the pots are completely dry, spray them with a waterproof sealant. Don’t skip this step…I forgot to spray all of our pots and the paint later bubbled up. 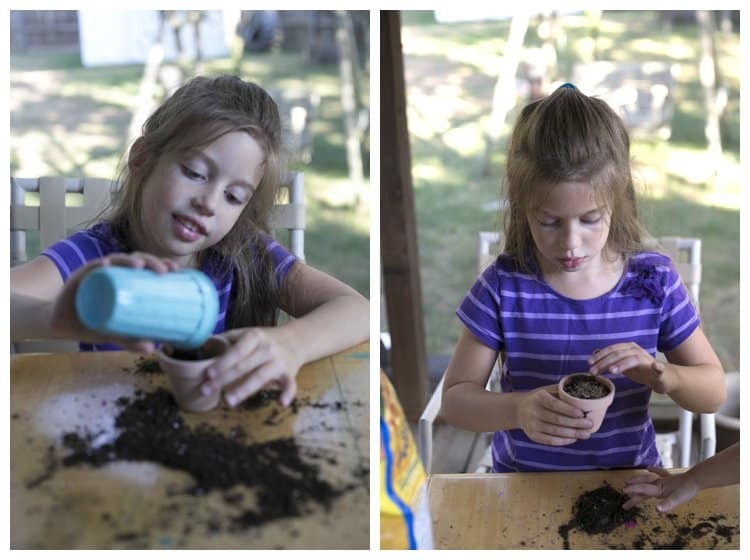 Fill the smaller pot with potting soil. Sprinkle in grass seed. Place the pot in a sunny location and keep it well watered. About two weeks later, your grass should be long enough to cut and style! Then let the ‘hair’ grow again and give your pot person a new hairstyle next week! Those are so cute! Thank you for sharing. It will be a great summer vacation project for my older kids! I came across your project at the Glimpse Inside link party. Yours was right before mine and I was so amused that we both linked to terra cotta pot projects. I'm fixing to share your project with my sister who homeschools. So cute! These are so cute! I remember getting my kids to decorate terracotta pots for their grandma's one year and it bubbling off when they water seeps through the porous pot. I think we even stuck things on with a waterbased pva which just slipped off! We did a do-over with plastic pots - not as pretty but the paint stayed on. I like the sound of a sealant instead. These are so cute! My girls would love making these! Pinning it for later! These are so cute! I'm pinning and visiting from Pin It Party 28. Love these. These are so cute! My younger children would love to make these. Your children are adorable and did a great job. Thanks for sharing. Visiting you from Embracing the Good Life's Pin It Party. Have a beautiful weekend! This is such an awesome idea! It's like your very own personal chia pet!!! My daughter will love this craft; I can't wait to shower her. Thanks for linking up at the Social Media Mixer! This is adorable! I can't wait to make them with my kids! Those are cute! I happen to have 2 perfect tiny little pots for this because 2 of my air plants just died. :) Thanks for the neat idea! 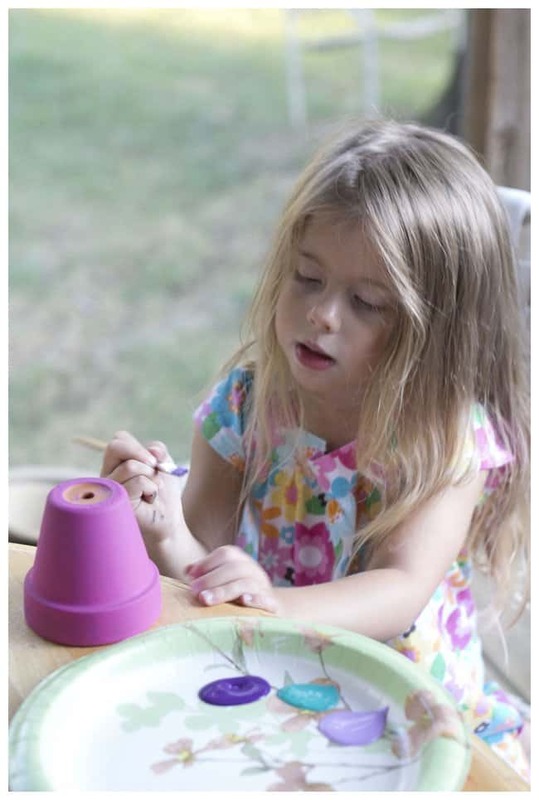 What a fun project to do with your children! Thanks for sharing on the Spring Craft Blog Hop. Love the idea of giving your grass-heads a haircut! Such a great activity to welcome springtime! Seen on the Spring Craft Blog Hop #SCBH2015, thanks for linking up! 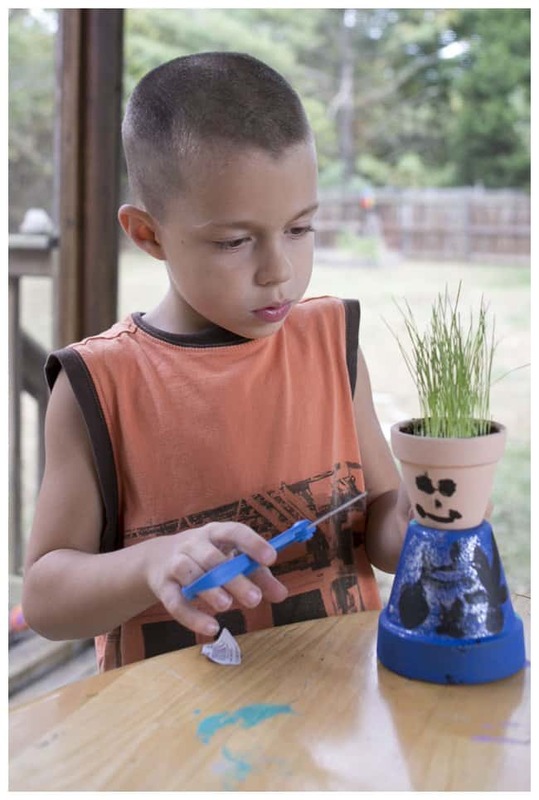 This is a great idea for the kids; personalising the pot and watching the grass grow. Oh my goodness these are too cute! My little one loves to grow things, he's going to love these! Hopefully it'll soon be warm enough to paint our own! Zero degrees today, so today isn't the day. Oh My Gosh! These are so cute. I can see how much fun your little ones are having making these. I imagine you had a lot of fun too. I used to homeschool my daughter (through high school) and I know this is something we could have used as a science lesson! So much fun while learning. 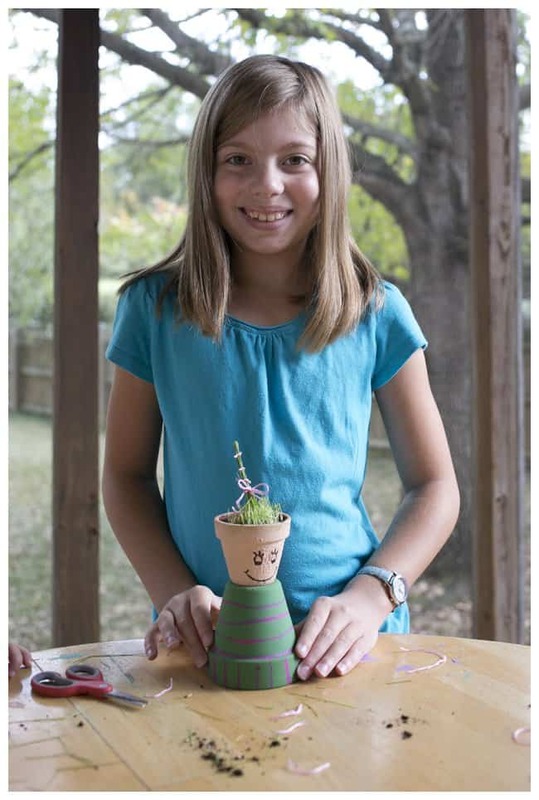 What a great craft project to have you start thinking of spring. These are much better than the plastic cups ones my kids used to do in preschool. These are much cuter than Chia Pets! I like that they can be personalized too. Oh my goodness those are so cute!! And totally something my daughter could do alone. She loves crafting!! Yours turned out so well! These are adorable! What a fun spring idea!